Prism Prize has announced arena Evans as the recipient of the 2018 Lipsett Award (sponsored by Bell Media). Evans is a director, actor and writer from Toronto, and protégé of veteran music video director and filmmaker Director X. 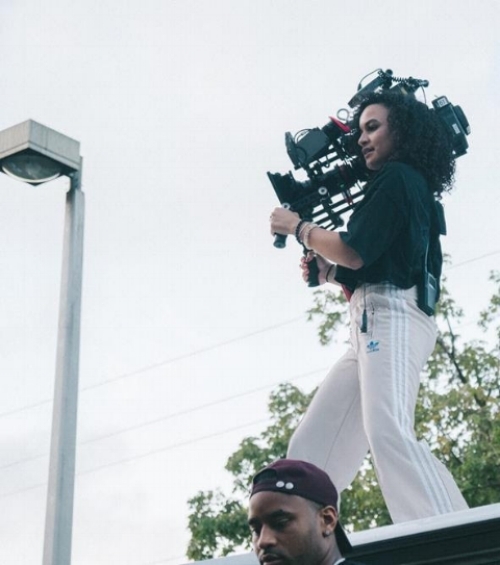 Over the past year, Evans has skyrocketed into the public-eye, having added her cinematic stamp to videos for artists including ROC Nation and XO's Belly, OVO's PLAZA, and Toronto's anders, and most recently directed the video for Drake's "God's Plan." Evans has also worked with CBC Arts’ on the 10-part series “Heartbreak to Art,” Nike’s Air Max commercial campaign and a heartfelt “Black Lives Matter” social commentary piece. Her highly stylized work is approached with a keen eye for composition, and shifts in format. Past winners of this award nclude KID. STUDIO, ristof Brandl, Jared Raab and Scott Cudmore & Michael Leblanc.